Doulton®, the brand synonymous with top quality water filters since 1827, is able to offer a new, high-flow filtration solution for the home and other applications! Filters you can trust - Ceramic filter elements manufactured in the UK under ISO conditions to meet NSF requirements. 0.9 microns absolute filtration rating as defined >99.99% efficiency. Most efficient system for cysts removal compare to any available alternative technologies such as chlorine, ozone, UV, RO etc.. Tested with live Cryptosporidium by University of Arizona in USA and Water Research Council (WRc) in Europe. RIO 2000 system. 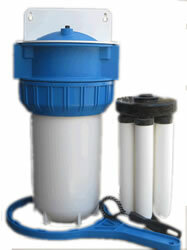 Our filter housing is designed for complete 100% positive seal ensuring no by-passing of untreated water. 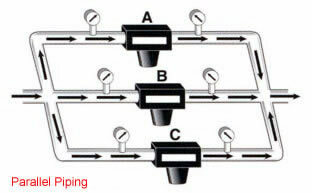 Unlike most BB housing which are designed for nominal filtration (none critical application) which may or may not filter out 100% of the incoming water.